Give your abstract art creation an Easter-themed twist with this Easter Egg Roller Painting technique. 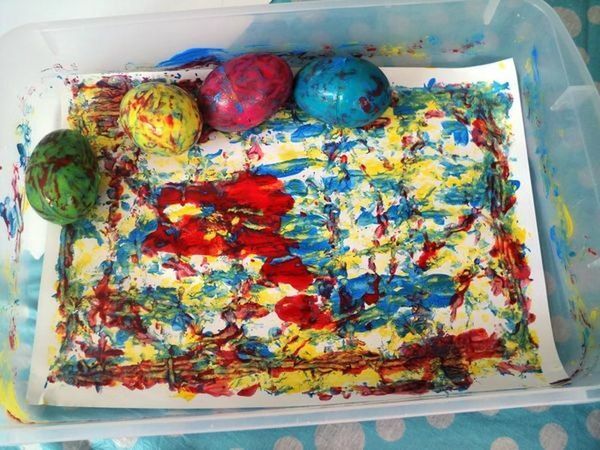 Instead of just painting with a paint brush like any well adjusted, normal human being, with this technique you cover plastic Easter eggs with paint and roll them around on paper to create all sorts of abstract designs. If nothing else, it gives you something to do with all those plastic eggs you have left over from your yearly Easter egg hunt!